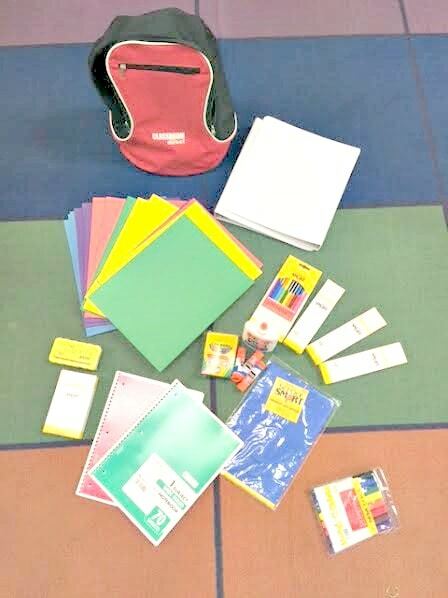 Donated School Supplies from Classroom Direct Made This Teacher Happy! My daughter just started her second year of teaching in Los Angeles. She is a special education teacher and her specialty is working with DHH (deaf and hard of hearing) children. She is a little older and wiser this year. As you can imagine, that first year of teaching was very challenging and each day needed to be planned anew. This year, one of her goals is to not spend a small fortune out of pocket on school supplies. Her students mostly come from low- income families and my daughter never wants them to lack for anything. She may not want me to share this, but I think she spent about $4,500 last year on supplies, books, and classroom tools which worked out to about $400 a month from each paycheck. 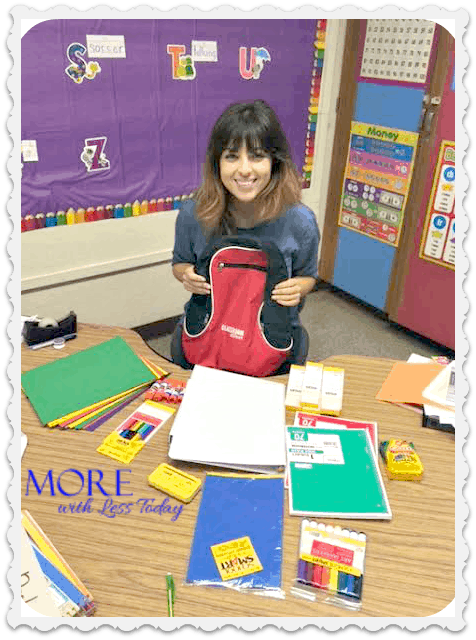 She was thrilled when Classroom Direct offered to send me a backpack stuffed full of back-to-school supplies as a donation, and I was thrilled to be able to help provide for her students. If you are not familiar with Classroom Direct, take just a minute and see all they have to offer for educators, parents, special needs resources, home-school families and more. They offer the best-selling PreK – 8th-grade classroom supplies at budget-friendly prices. Be sure and check out their Deals and Clearance Section. Choose from over 24,000 classroom supplies including Teacher Favorites, Classroom Packs, Ideas & Resources, and Digital Catalogs. In their Classroom Connection Blog, you’ll find tips and tricks, ideas & resources for classroom management and more. Thank you Classroom Direct for your generous donation. Follow Classroom Direct on social media on Facebook, Twitter and Instagram using #GivingBackPacks. I would love it if you would give them a thank you shout out for their generous donations to our schools and our teachers. This year when you are giving teacher gifts, consider giving a gift card they can use to buy school supplies. Even if you can only give a few dollars, I know that would be appreciated. I know every school is different, but my daughter gets a very limited allowance to make photocopies each month so she spends a lot of money just on copy paper and printer ink. 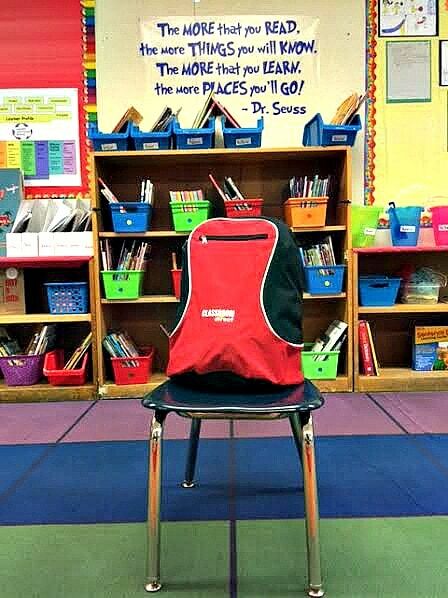 Classroom Direct provided me with a backpack and supplies at no cost to facilitate this post. All opinions are 100% mine. As a former teacher I can tell you that Classroom Direct was one of the best resources for getting whatever my students needed. It is so great to hear that you can donate items to your child’s school to help improve their educational community. That was such a sweet donation and I know your daughter appreciated it. There are two teachers in my family and I know that they spend a lot of out of pocket money on their students as well. Oh, I love this! Our schools need supplies so much, I love to see a company help out like this. I will definitely be getting my kids’ teachers gift cards for Classroom direct this year. I’m sure their teachers will love it! What a great gesture this company makes! Teachers spend so much out of pocket for supplies. What a great gift for a classroom!! It is amazing how many teachers spend money on supplies they can’t get in for the school year. That is awesome that you got to donate some extra supplies for the classroom. You never know, there might be a kid who needed those items. I was able to donate some baby wipes for my son’s teacher. There are so many kids that do not have school supplies. I always send some extras for the teacher to give out when needed. Kudos to you and your daughter for helping the kids. Classroom Direct sounds like an awesome place to check out and I will have to share this with my niece for her children. Thank you for sharing this awesome site. That is awesome! I always admire companies who give back and help. Glad your daughter got those supplies. Those would be a great help for sure. This sounds like a great resource for teachers!